Aerosmith guitarist Joe Perry presents 60 minutes of music that is closest to his heart. Through the late Sixties and Early Seventies, the great English bands had a virtual monopoly on blues and r&b-based hard rock. But with the arrival of Aerosmith’s self-titled debut in 1973, America finally had a rock band that could equal the Stones and Led Zeppelin. Interpersonal difficulties and big-time drug problems brought Aerosmith down for a time, but in the mid-Eighties they made one of the most spectacular comebacks in the history of rock, a revival that has continued well into the Nineties. If they’ve relied a bit much on song doctors and power ballads lately, fear not. The song alluded to by Perry — “What Kind of love Are You On” — is easily one of the most energetic and innovative guitar-driven rockers they’ve ever attempted. Listen closely and you’ll find traces of every influence Perry sticks on his 60 Minutes tape, from the Stones to Rage Against the Machine.  “Check it out — that’s where Aerosmith is heading ,” Perry adds. Looks like they really may have nine lives after all. “It’s the energy. I just can’t sit still when this song comes on. It takes the James Brown funk we were into but makes it more modern. Even in the studio they sounded like an incredible live band, which they were. “They were catching the tail end of the British Invasion that the Beatles had started. But they weren’t just writing cute little pop songs for a bunch of screaming teenage girls. The Yardbirds used their pop context as a training ground for hot guitarists like Clapton, Page and Jeff Beck, who drops a ta sty little guitar solo in this song where a verse would normally be. “I don’t think I’ve ever heard such intense playing and such a great solo with so much attitude on it. And the tone was revolutionary. Everybody else played with that country twang up ‘tiI then. The Beatles had some juice when it came to distortion, but Clapton was finally able to break through those early studio engineers’ fear of overloading. “First time I heard this I was 19, driving to work. I had to turn around and find a record store and buy it immediately. Freddie was a little more rocked out than B.B. or Albert. “I’ve heard so many bad versions of Chuck Berry songs – nobody ever comes close when they play this stuff. Okay, the Stones do a pretty good job because they get the idea about the backbeat. It’s how he lays it into the rhythm. I call it the push-pull, where something’s holding it straight and the other half is moving, so it creates this exquisite tension. “I still listen to this album constantly. They take ordinary sounds and tweak them a little, so you think maybe you’ve heard them before, but you haven’t. The Edge is incredibly innovative because he just doesn’t play normal. “And I find that so refreshing. It’s not about seeing how many triplets you can play in a quarter of a second, which means nothing. “I don’t go anywhere without this record because it rocks and has got so much funk on it. I’ve seen them play live a few times, and they really put it across — they make you believe. “When Tom Morello picks up the guitar, I’m sure what he sees is totally different from what I do, but I love the way he plays. I’ve only heard him play two traditional solos with notes strung together. “Such an amazing songwriter, and to have the guitar vocabulary to express what he did was simply incredible. I think the biggest crime is that he’s not still with us. There’s such absolutely furious energy going on in this song — he just snaps out those riffs. “I was working as a dishwasher when I first heard that come over the radio, and it definitely put my mind in another place. To this day, nobody’s captured the essence of that whole r&b, Chuck Berry, hard rock thing so perfectly. Again, it’s the guitars playing off the drums, and you feel that tension. “This is from Peter Green’s earliest incarnation of the band, when they had three guitar players and were a great blues band experimenting with rock. Green had a distinctive sound that was right out of the Chicago blues. “He had a really spooky feel for phrasing, putting the blues in a rock format that a white boy like me could understand. “Musically, you just can’t say enough about where they went in just five years. I don’t think there’s anything a nybody’s doing that the Beatles didn’t at least try at some point. “Another Nineties band I have a lot of respect for. Having met Robert and Dean Deleo and that Jailbird singer of theirs [Scott Weiland], I like them all as people as well as admire, and this isn’t meant to sound trite, their sheer musicality. Their influences are kind of Beatles-esque in a way.